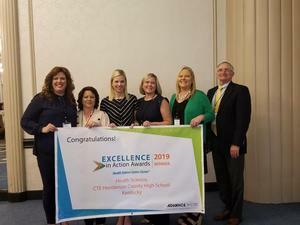 The Health Science program at Henderson County High School received the prestigious Excellence in Action award, which recognizes the best Career Technical Education (CTE) programs of study across the nation. 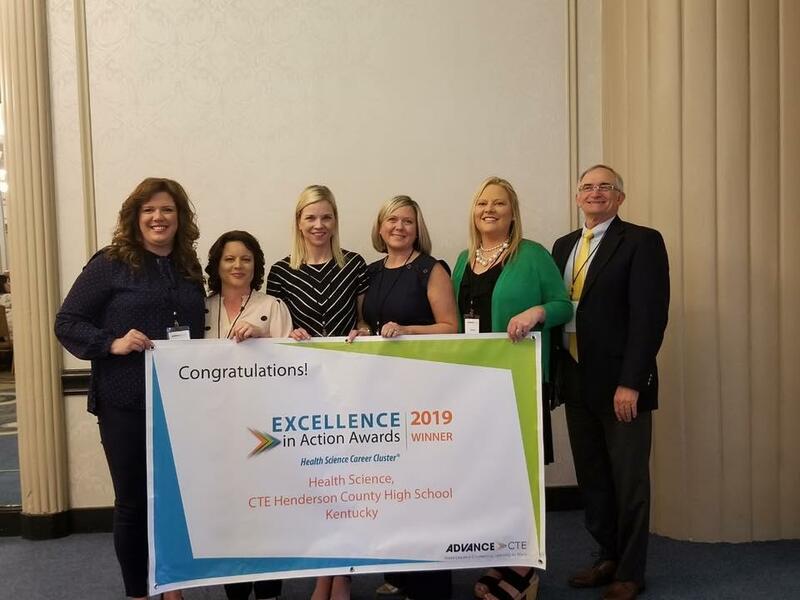 April 9, 2019 – [Henderson, KY] – The Health Science program at Henderson County High School received the prestigious Excellence in Action award, which recognizes the best Career Technical Education (CTE) programs of study across the nation. Health Science was one of eight programs selected as an Excellence in Action award winner based on its track record of providing clear pathways into college and careers, rigorous academic and technical coursework, strong partnerships with education and industry leaders, and meaningful work-based learning experiences that offer opportunities for career exploration and subject-matter mastery. Henderson County High School’s Health Science program received the award in the Health Science Career Cluster® from Advance CTE as a result of their commitment to providing real-world learning experiences for each learner in partnership with 47 local health care facilities including Redbanks Skilled Nursing Center, Deaconess Health System, Methodist Hospital, St. Anthony’s Hospice. All learners benefit from industry-recognized credential offerings as well as credit through Henderson Community College creating a pathway to both college and careers. Last year, all learners graduated from high school, 84 percent of learners enrolled in postsecondary education and over half received postsecondary credit. Also, 95 percent earned an industry-recognized credential. Representatives accepted the honor at an award ceremony as part of the Advance CTE Spring Meeting in Washington, D.C.